European & Middle East Litigation, Arbitration ADR Guide edited by Meritas. Built upon a rigorous system for monitoring and enhancing the quality of the member firms, Meritas connects clients with carefully qualified, business legal expertise around the world. 1 – In what language(s) may court proceedings be conducted? What arrangements can be made for translation/interpreter services? Court proceedings may be conducted in French, German, or Luxembourgish. If the persons involved in the trial are not able to speak one of these languages, an interpreter may be summoned. 2 – What types of pre-action measures are available and what are their limitations? Must you send a warning letter before issuing any proceedings? The plaintiff may send a written notice before introducing a court proceeding, but it is not a general obligation. In some areas, the plaintiff must send a written notice before introducing proceedings. For example, according to article 1146 of the Civil Code, the plaintiff may only claim damages once he has sent a written notice to the debtor to fulfill his obligations. 3 – What are the costs of civil and commercial proceedings? Who bears these costs? There are no court fees in Luxembourg. There may be bailiff costs and other small expenses. Depending on the case brought before court, witnesses’, experts’ and interpreters’ costs may also be involved. Lawyer’s fees are freely negotiable and are borne by the client. If a client is under legal aid, lawyer’s fees are fixed and controlled by the Luxembourg Bar (around EUR90 per hour), and borne by the State. The Court may grant a procedural indemnity (“indemnité de procédure”) to the successful party (most of the time around EUR1,000 – EUR2,000). As a general rule, the unsuccessful party bears the bailiff costs and other expenses. 4 – What are the basic rules of disclosure of documents in civil and commercial proceedings? Which documents do not require disclosure? Is electronic disclosure of documents normal? Except in certain cases, each party has the burden of proof to provide evidence to support its case. There are no discovery proceedings in Luxembourg. However, the Court may, in certain circumstances, order a party to disclose certain documents. There is no electronic disclosure of documents. 5 – What is the process for witness evidence (namely, is it deposition based in advance, or witness statement, or examination or cross-examination)? Can a witness be compelled to attend to give evidence? The parties may provide the Court with written statements in accordance with articles 400 to 403 of the Luxembourg Civil Procedural Code (“Nouveau Code de procédure civile”). While this is rather exceptional (except in employment matters), the Court may also order a witness testify before Court if requested by a party or if the Courts deems it appropriate. Witness evidence is not allowed in civil proceedings above EUR2,500, except in specific cases (“commencement de preuve par écrit”). Indeed, it is important to note that in civil proceedings, it is not possible to prove above EUR2,500 other than by authenticated or private documents. In commercial proceedings, this rule does not apply, and evidence can be freely brought to the Court. 6 – How are settlement discussions usually conducted (namely whether oral or written and whether between the parties direct or their representatives)? Is the settlement correspondence between the parties/counsel privileged (i.e., may not be disclosed to the court)? Settlement discussions are usually conducted out of court in writing or verbally by the parties’ counsels. Communications between lawyers are strictly confidential and may not be disclosed to the Court except when explicitly authorized in writing. While it is not advisable, as such confidentiality does not exist, the parties may always discuss directly between themselves to find a negotiated settlement. 7 – What is the typical duration of a court procedure? There is no specific regarding duration of a court procedure. However, cases brought before commercial courts are conducted orally without exchanges of legal briefs and usually take between 6 months and 1 year. Cases brought before civil courts are conducted in writing with exchange of legal briefs (as many as the parties deem necessary) and usually takes at least 1 year and can take up to 2 or 3 years. The appeal procedure of civil and commercial cases is always in writing and usually takes at least 2 years. 8 – How can foreign judgments be enforced? Article 679 et seq. of the Civil Procedural Code which details the procedure applying to foreign judgments rendered in a jurisdiction having a treaty on judgment recognition with Luxembourg or to judgments rendered in the European Union (EU Regulations, e.g., Council Regulation (EC) No 44/2001 of 22 December 2000 on jurisdiction and the recognition and enforcement of judgments in civil and commercial matters, etc.). Article 678 of the Civil Procedural Code which refers to articles 2123 and 2128 of the Civil Code (mortgages) applying to foreign decisions that do not fall under a treaty or an EU Regulation. 1 – Are mediation clauses in commercial contracts binding and enforceable? 2 – What is the procedure for mediation? Is it a popular method for resolving commercial disputes? The law of 24 February 2012 on mediation in civil and commercial matters (introduced in the Civil Procedural Code),.regulates both conventional and judicial mediation. Article 1251-8 et seq. of the Civil Procedural Code regulates conventional mediation and provides that any party may propose to other parties, as long as the case has not been pleaded before the courts, to use mediation in order to settle a case. The mediator shall be appointed by the parties or by a third party and an agreement determining the conditions of mediation must be signed by the parties. Article 1251-12 et seq. of the Civil Procedural Code regulates judicial mediation and provides that the judge in charge of a case may at any stage of the procedure, and as long as the case is been pleaded, invite the parties to use mediation. Judicial mediation is initiated at the request of the parties or at the request of the judge if the parties agree. Offer to companies and citizens a simple alternative dispute resolution. Regarding the procedure, the parties must sign a mediation convention at the beginning of the procedure, by which they agree to resolve their dispute in accordance with the rules of mediation. It can be noted that the mediator and the parties have an obligation of confidentiality. The mediator negotiates with the parties in order to find a solution to their dispute. The mediation may not in principle be longer than three months from the date of the signature of the mediation convention. The parties can nevertheless commonly agree to extend the mediation procedure. The mediator and the parties can decide at any time to stop the mediation. The use of this alternative method to resolve commercial disputes is increasing in Luxembourg. 3 – Are arbitration clauses in commercial contracts binding and enforceable? 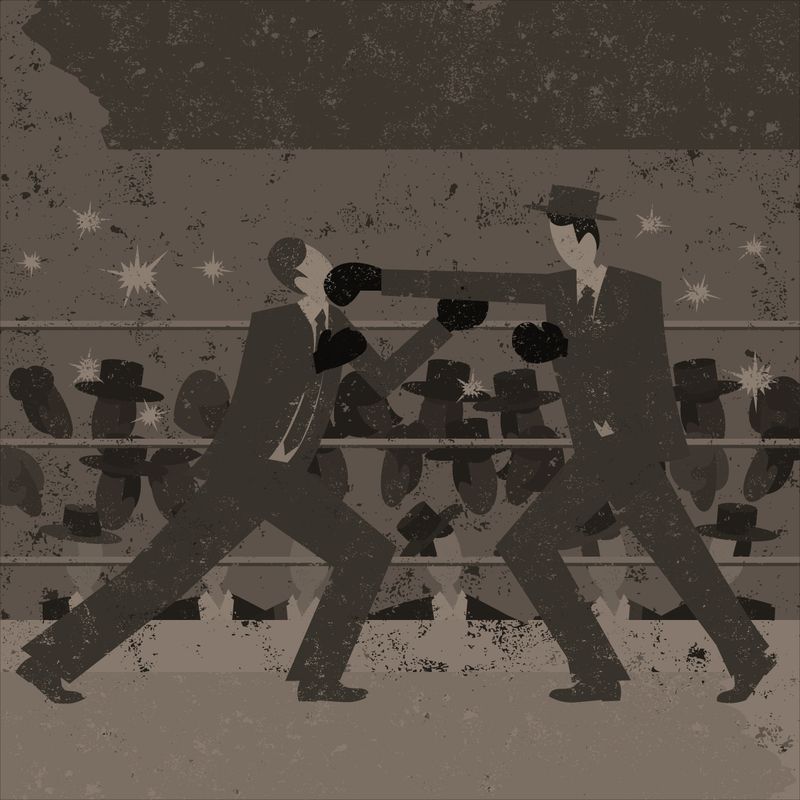 4 – What type of arbitration is commonly used for resolving commercial disputes: ad hoc arbitration or institutional arbitration? The rules of arbitration of the Arbitration Center of the Luxembourg Chamber of Commerce. The rules of arbitration of the International Court of Arbitration of the International Chamber of Commerce. 5 -Which arbitration institutes are most popular? 6 – What influence can the parties have on the identity of the arbitrator(s)? The parties may agree on the choice of the arbitrator(s). A person nominated as an arbitrator shall be independent of the party nominating him. If a party fails to nominate an arbitrator, the appointment shall be made by the Council. 7 – In what language is an arbitration proceeding conducted? The language of the arbitration is generally determined in consideration of all the relevant circumstances and in particular with respect to the language of the contract. The parties may decide, in the arbitration clause, in which language the arbitration proceedings will be conducted. 8 -What type of pre-arbitration measures are available and what are their limitations? According to article 933 of the Civil Procedural Code, the judge can always order temporary measures either to prevent an imminent damage or to stop an illicit trouble. In order to prevent the disappearance of proof, he can also order any measure of inquiry he may deem useful, including the hearing/examination of witnesses. 9 -What are the costs of arbitration proceedings and who bears these costs? The arbitration clause may determine who will bear the cost of arbitration. The amount of the arbitration costs will be determined, as the case may be, by the applicable arbitration rules. In the absence of an agreement in this respect, the arbitrator’s award shall determine the costs of the arbitration and decide which of the parties shall bear the costs or in what proportions the costs shall be borne by the parties. The costs of the arbitration shall include the arbitrator’s fees and expenses, the administrative costs, the fees and expenses of any experts, and the normal legal costs incurred by the parties. 10 – What are the basic rules of document disclosure in arbitration? Which documents do not require disclosure? There are no particular rules of disclosure of documents in arbitration under Luxembourg law. The general civil laws shall apply (see above). 11 – What is the procedure for witness evidence in arbitration (namely, is it deposition based or witness examination or cross-examination)? There are no particular rules for witness evidence in arbitration under Luxembourg law. The general civil laws shall apply (see above). 12 – How are settlement discussions usually conducted (namely whether oral or written and whether between the parties direct or their representatives)? Is the settlement correspondence between the parties and/or counsel privileged (i.e., may not be disclosed to the Arbitrator)? There are no particular rules for settlement in arbitration proceedings under Luxembourg law (see above). 13 – Under what circumstances can an Arbitration Award be enforced, challenged or annulled? There are some nullity causes of the award In addition, Luxembourg has signed the New York Convention on the Recognition and Enforcement of Foreign Arbitral Awards of 10 June 1958.